Support from Alruqee Group was key to the successful staging of Saudi Arabia’s first exhibition exclusively for machine tools. The Machine Tools Exhibition (MTE), organised by International Exhibition Services (IES) and held in Dammam between May 19 and 21, had more than 5,000 professional visitors from the metal cutting, sheet metal and metal fabrication industry of the Eastern Province. The event was opened by Suleiman Al-Thunayan, Governor of Al Khobar. IES, which also organises the Saudi Oil and Gas Exhibition (SAOGE) in Dammam, was approached by Alruqee to have an exclusive event for machine tools. Alruqee is the exclusive agent for premium industrial and machine tool brands in Saudi Arabia and the GCC states. Mohammed Fathi, marketing manager, Alruqee Group, said the absence of an exhibition for machine tools was the compelling reason behind his company’s support for MTE. “Prior to MTE, there were no such exhibitions. Fathi said Alruqee also provided the organiser a list of global machine tools manufacturers so they could invite them to exhibit at MTE as well as providing marketing and media support to facilitate greater interest and participation. Alruqee was the gold sponsor and the biggest exhibitor at MTE, its pavilion occupying more than 500 sq m of space. 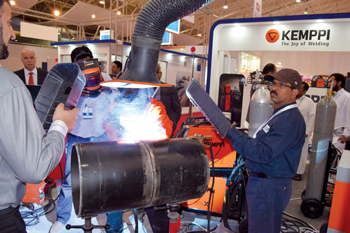 The company showcased more than 16 brands from Europe, the US and Korea that provide solutions for sheet metal, metal cutting, steel fabrication and welding and cutting. 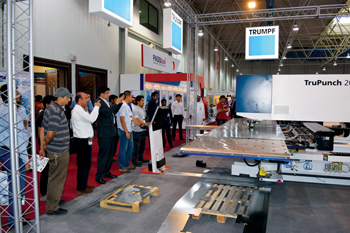 For sheet metal solutions, Alruqee had on display a CNC punching machine from Germany’s Trumpf and a CNC oxyfuel/plasma cutting machine from Messer. For metal cutting, there were CNC turning and milling machines from Hyundai Wia, Korea; a CNC turning machine from Hankook, Korea; conventional lathe machines by 600 Group, UK; a coordinate measuring machine from Carl Zeiss, Germany, and metal cutting tools from Walter, Germany. Alruqee showcased metal fabrication solutions, putting on display a CNC rolling machine from Haeusler, complete structural steel fabrication solutions from Kaltenbach, Germany; milling machines for preparing welding edge profiles on plates and strips of steel and non-ferrous metals as well as sawing machines from Linsinger, Austria; a complete solution for poles and tube factories by Italy’s Somo and robotic welding systems from IGM, Austria;. Alruqee also presented welding solutions from Kemppi, Finland, and power tools from Trumpf Power Tools, Switzerland. Drawing most interest at MTE were the Trumpf CNC punching machine and Hyundai Wia turning and milling machines, said Fathi. Other major exhibitors at MTE were Simco and Gumaco. The intense efforts made by Alruqee bore fruit. Both IES and Alruqee were elated over the success of MTE. 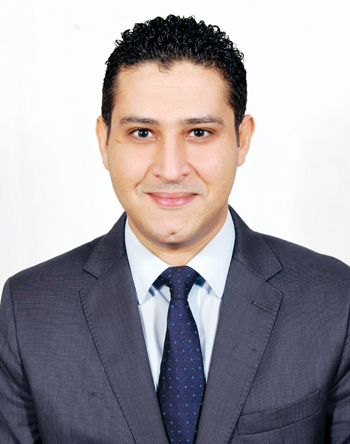 “The exhibition was successful and we will continue our support to the organiser towards having an even better show next year with more exhibitors and solutions,” commented Fathi. MTE’s next edition will be held in April 2016.